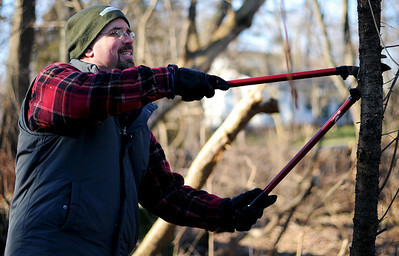 Sarah Nader - snader@shawmedia.com Jeff Kaufmann of Wodstock clears brush from Raintree Park in Woodstock on Wednesday, January 4, 2011. Kaufmann has gotten support from the City Council to start fundraising for a 9-hole disc golf course at Raintree Park. He hopes to be raise $10,000 for the project and have it completed by June. Sarah Nader - snader@shawmedia.com A man boards up windows after a house fire at 5107 Barnard Mill Road in Ringwood early morning on Wednesday, January 4, 2012. 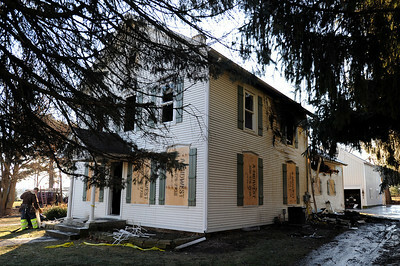 A man boards up windows after a house fire at 5107 Barnard Mill Road in Ringwood early morning on Wednesday, January 4, 2012.